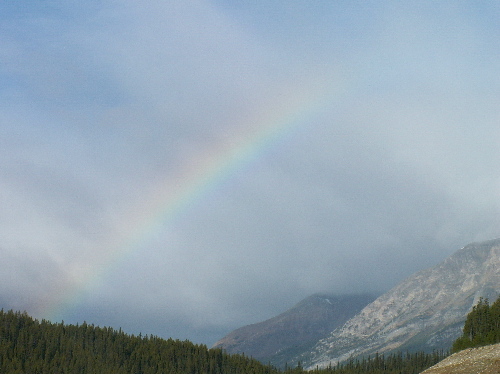 mountains welcomes you this month to Whispers. Welcome to Whispers, the newsletter of the Dereila Nature Inn - your cyber nature centre. Each month we have a few more subscribers, so we'd like to say a special hello and welcome to you all and a big thank you to our long-time subscribers. We really appreciate your support and encouragement. As we move further in to Spring we look forward to more opportunities to get outside with the camera and capture new scenes in nature. Meanwhile, it's been a busy month at the Inn with several new features that you'll read about in a moment. Each month we'll start things off with a little bit of nature trivia for you. Which organism starts life off as a male, but usually changes to female and has been known to switch back and forth several times? Our tip for this month is one for getting a natural looking bird photo without all the hassle of wondering where the bird will land and hoping it's a natural looking spot. The first step is to place some type of perch for the birds such as a berry-ladened twig or a flowering shrub. 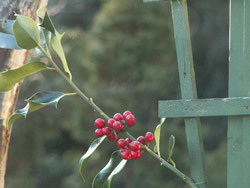 We used a sprig of holly secured to a trellis rail, as shown in the first photo. 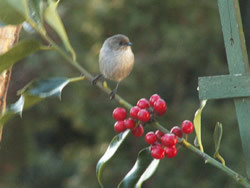 The trellis can also support or be near a log or suet feeder to attract the birds in the first place. Note how a couple of leaves have been removed so there is a place for the birds to perch. 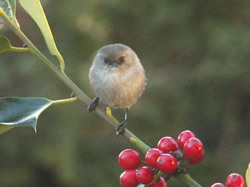 For small flocks of bushtits, this may be all that is needed. As they wait to go onto the log feeder, the occasional one will perch on the branch. For others birds however, a little incentive can be added. 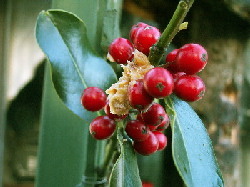 This can be in the form of a small dab of peanut butter on the backside of a leaf or the berries. They soon find this and many a photo opportunity arises. The fourth photo shows the finished image taken with a longer zoom and cutting out the trellis and other unwanted clutter. By changing the branch to one representing spring you have another pleasing image like this one with the early flowers of witch hazel. For more bird feeding and attracting tips, visit the Inn's All Things Natural Restaurant. 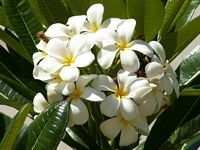 Enjoy the colours and diversity of some stunning flowers. Beware of stunning beauty! Danger may lurk! See how birds have bills adapted for the food they like. 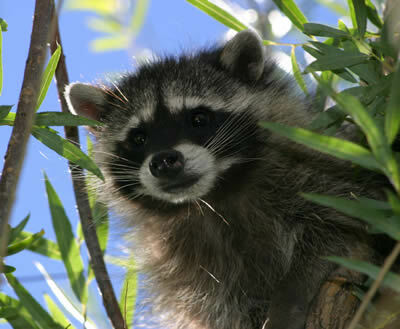 This month's image of a curious raccoon, Little Rocky, was sent in by Wayne Warner of Show Low, Arizona. Thanks for sending it in, Wayne. We really appreciate your contributions. If the rainy days of spring are getting you down - why not pass some time away doing a few flash jigsaw puzzles? We have over 70 to choose from featuring mammals, wildflowers, special places, insects and lagoon scenes. Get started by simply clicking here. 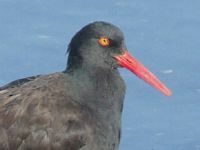 If you're a passionate birder and don't know what a hmuh is or which birds wag their tails from side to side, perhaps it's time to click and polish up on your bird trivia. We'd love your help. To complete our new bird bills page, we'd love to have any pictures of flycatchers, specifically birds with hairs at the base of their bills which enable then to trap a few more flies as they fly by with their mouths open. If you can help us out, please send us a note by e-mail. We're currently working on new pages and ideas for the Inn. A few projects in the works include more photo galleries, jigsaws and features on trees. Stay tuned! Our site map is a handy, straight-forward way to find your way around the Inn. Links are being placed at the bottom of most pages to help you navigate. Visit the map here. 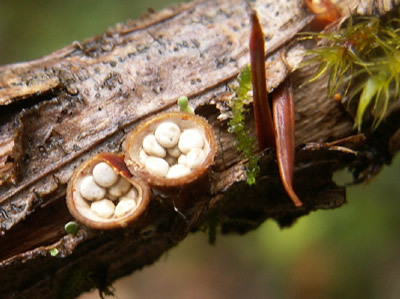 This unique fungus Crucibulum Laeve, has a well-chosen common name: Bird's Nest Fungus. 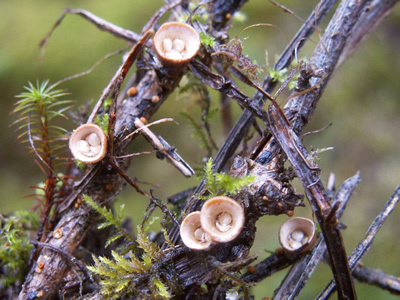 Although very small, as can be seen by the moss in the image, the minute fruits of the fungus appear as white "eggs" in a bird's nest. A strange find although fairly common found in clusters on decayed wood. 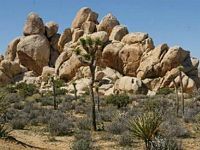 This month we journey to the San Jacinto Mountains in the Sonoran Desert of Southern California and visit the lush oases of Indian Canyons. 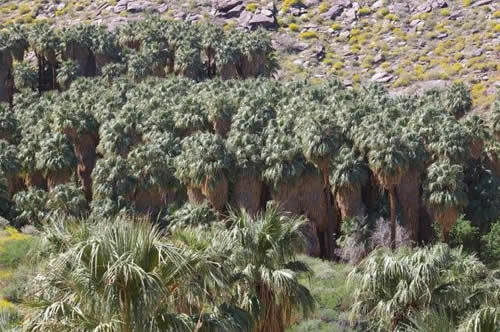 Against the barren mountain, green forests of Calfornia Fan Palms, Washingtonia filifera, beckon. 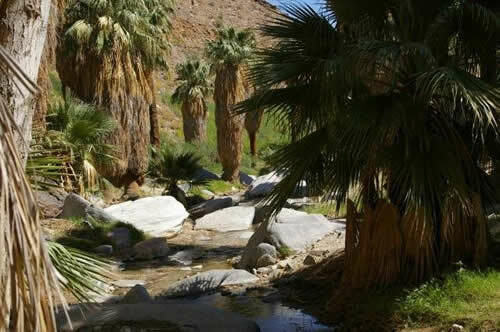 Venturing into the canyons, one appreciates the flora and fauna made possible by the abundant supply of water in this hot, dry area. 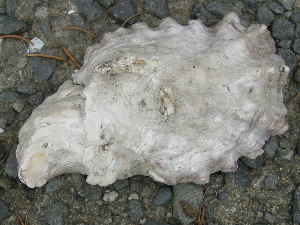 Oysters start their lives off as males, but usually end up as females! The happily married man had only one complaint: his wife was always nursing sick birds. One cold evening he came home to find a raven with a splint on its beak sitting in his favourite chair. On the dining room table there was a feverish eagle pecking at an Aspirin, while in the kitchen his wife was comforting a shivering wren that she found in the snow. "I can't take it anymore!" he said to his wife. "We've got to get rid of all of these darn..."
His wife held up her hand to cut him off in mid-curse. "Please, dear," she said, "not in front of the chilled wren." Don't forget to check out the amazon/dereila bookshop. You'll find a super selection of nature books and guides. See what's in the store for you by clicking on the image. You'll also find amazon.ca and amazon.com search boxes for our Canadian and US visitors throughout the Inn.